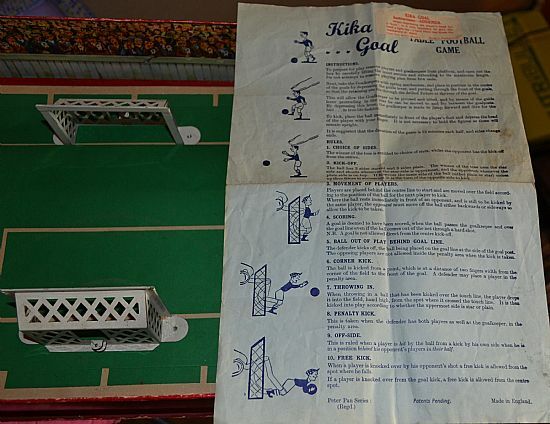 A lovely old game that looks to be based on Tipp KIck and a forerunner to Striker. 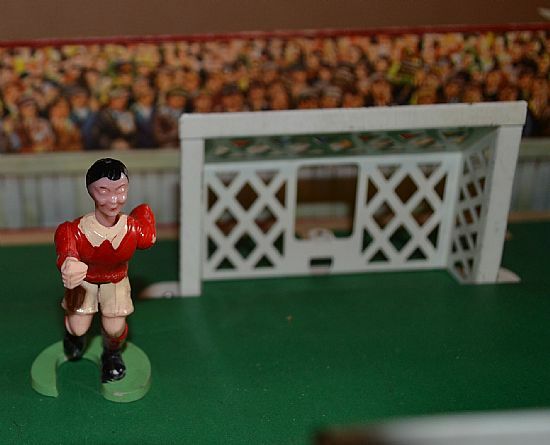 1950's in appearance with stunning graphics and a very intriguing goalkeeper mechanism. 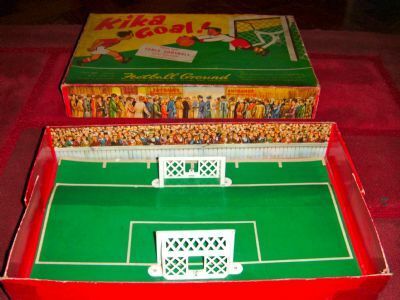 The box cleverly folds out to make an enclosed pitch. 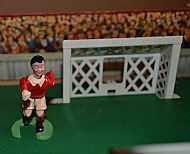 There is another version with a roll out pitch. 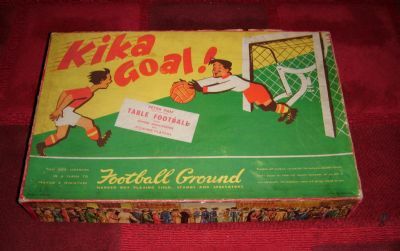 Lovely classic 1950's box art. The price is for a set complete and in good condition in a in good box. 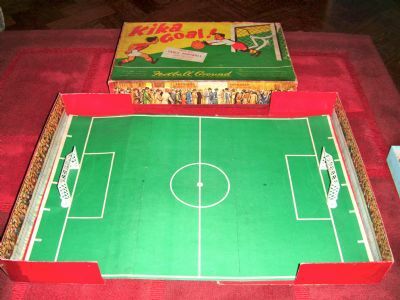 The box and pitch are all superbly designed. The fold out base box pitch is a masterpiece. Lovely goalies with significant mechanical support! 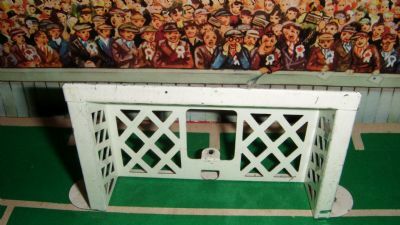 Very well produced stamped and pressed metal goals. The box and pitch artwork is absolutely stunning and highly detailed. This is only a small section of it. Nicely illustrated and very easy to understand. 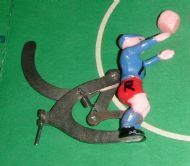 Very similar to Striker players with the same mechanism. 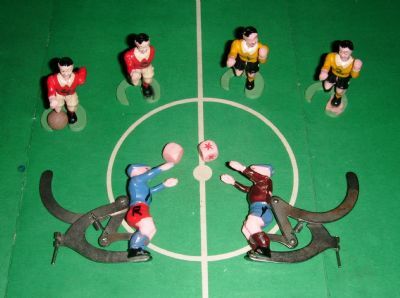 Possibly some of the earliest plastic figures made.